Can Jake Gyllenhaal’s Masterful “Nightcrawler” Creep into the Best Actor Oscar Race? 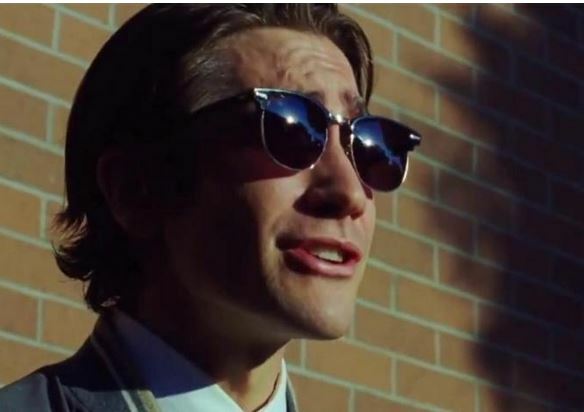 Can Jake Gyllenhaal’s uber-creepy “Nightcrawler” slither its’ (and his) way into the Oscar race for Best Actor? 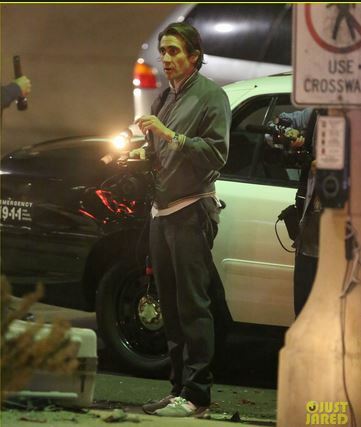 The wonderful Jake is doing the best work of his stellar career in “Nightcrawler”. “Nightcrawler” debuting at TIFF, of course, this week, really caused a stir. And with good reason, it’s terrific and Jake is unbelievably good, playing against type at the Bad Guy, whom you’d rather not want to meet on a darkened street, or in a back alley, the setting and hang-out for his creepazoid loner, Louis Bloom. Bloom is a local news addict, who wants to break his way into the big time of tabloid television, by filming as many car crashes and shooting sites as he can. His character really inhabits the twilight zone of L.A. Noir, a genre all its’ own, and Jake totally owns this revolting character in a way we’ve never seen him do before. He lost a massive amount of weight, so he doesn’t look well. He looks hungry. Hungry for everything the dark side of the La-La Night has to offer. His large eyes become enormous and glassy here as he inhabits this truly horrible character of a blood-thirsty ambulance-chasing videographer from the inside out. Lou Bloom will stop at nothing to get the worst, most bloody shot imaginable. He’ll even go so far as seducing a much-older-than-him TV station manager,played by Rene Russo. Russo has never been better and one hopes they BOTH get nominated in their respective categories. Best Actor and Best Supporting Actress. But will they? The Best Actor race is REALLY crowded this year, one again, whereas, as always, the Best Supporting Actress race has room for Russo. Is this supremely ugly portrait of a tabloid-obsessed guy something the Academy will embrace with a Best Actor Oscar nomination? Or is it just too raw. too close to the bone, for the warm-and-cuddly Academy voters? His Louis Bloom recalls DeNiro’s great Travis Bickle in “Taxi Driver”, and DiNiro did get nominated for that, but didn’t win. But he immortalized the lines “You talkin’ to me?” forever in the Hollywood pantheon of one liners that define a character, and a performance and an era. They might be DiNiro’s most famous sound-bite. Will Jake the Great make it in to the Final Five at Oscar time? I personally would love to see it. And I think audiences are going to enjoy skinny, creepy Jake and reward “Nightcrawler” at the box-office. But will the Academy follow suit? That’s the 64 Thousand Dollar question.I’ve always felt Jake was the perennial good guy in a f-ked up situation, like for instance in “Zodiac”, but here’s he’s definitely the bad guy, who is making you like him ANYway. A very difficult thing to do. And he does it superbly, masterfully. I love this direction that Jake is pushing his career into. It’s not a comfort zone by any means, but it’s something a great actor does. Challenging himself again and again. And this time succeeding mightily. I can’t wait to re-see “Nightcrawler” and be creeped out all over again!